Ranging from Australia and Africa to Europe and Asia and back again, The Weight of a Human Heart heralds a fresh and important new voice in fiction. Ryan O'Neill takes us on a journey that is sometimes comic, sometimes tragic, and wholly original. A young Tutsi girl flees her village on the brink of the Rwandan genocide. A literary duel - and an affair - play out in the book review section of a national newspaper. A young girl learns her mother's disturbing secrets through the broken key on a typewriter. My mother, Margaret Hately, was a short-story writer. In the few photographs I have of her she is carrying a book, holding it against her chest as if she were suckling it. There are no photographs of my father. My mother destroyed them when he left her, a month before I was born. I only know him from the parts of him she put in her stories  a limp, a way of reading the newspaper at arm's length. Whilst my mother wrote, my father was made of words. Innovative and provocative, The Weight of a Human Heart thoroughly explores what it means to be human—and to have a heart. 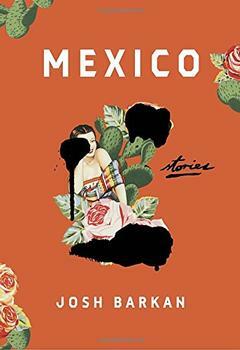 This varied – and at times seemingly experimental – collection of short stories travels the wide world and brings readers inside the lives of many different characters. (Reviewed by Sarah Tomp). Both inventive and moving ... Solving the riddles of his prose becomes addictive. Daring, intelligent, witty, full of new discoveries and exhilarations. The prose - when the author bothers to simply write prose - is very good. But too much of the book looks like a Ph.D. thesis in creative writing, where extra credit goes to the candidate who tries techniques others know better than to try. Starred Review. Vital storytelling and literary flourishes distinguish Scottish author O'Neill's creative story collection ... What brings all of the tonal diversity together is O'Neill's obvious understanding of the cohesiveness of language, its power to transcend and overcome, and the way an economy of precious words in a short story can achieve a novel's worth of emotion. Starred Review. The variety of narrative modes here never feels like experimentation for its own sake, and the singular mix of humor, intelligence, and global awareness sets this impressive collection apart from the crowd. By turns acerbic, playful and serious, O'Neill is equally at home with satire and pathos. Playful with content, O'Neill is also joyfully original with format ... [in] this brilliant collection. Ryan O'Neill was born in Glasgow in 1975. He lived in Africa, Europe and Asia before settling in Newcastle, Australia, with his wife and two daughters. 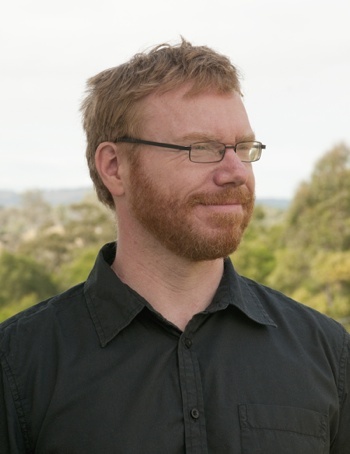 His fiction has appeared in The Best Australian Stories, The Sleepers Almanac, Meanjin, New Australian Stories, Wet Ink, Etchings, and Westerly. His work has won the Hal Porter and Roland Robinson awards. The Weight of a Human Heart has been shortlisted for the 2012 Queensland Literary PrizeSteele Rudd Award. He teaches at the University of Newcastle. What most appeals to you about the short story format? With unflinching honesty and exquisite tenderness, Josh Barkan masterfully introduces us to characters that are full of life, marking the arrival of a new and essential voice in American fiction.